A garden wedding venue may be the right location for you if you want a scenic wedding full of natural beauty. 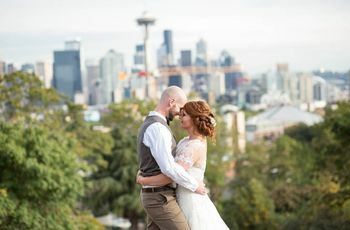 If you’re dreaming of a scenic wedding full of lots of natural beauty, a garden wedding venue may be the right location for you. 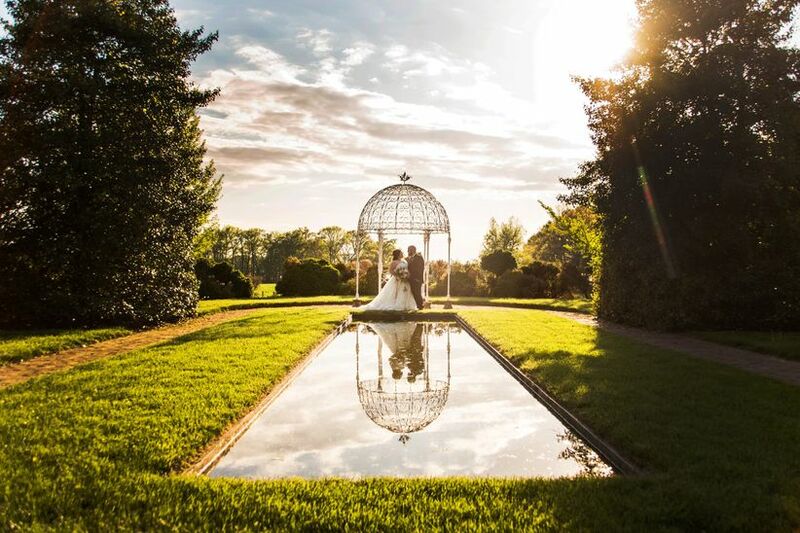 Check out the top five reasons why we adore garden wedding venues! Your flowers are already there. Walking down the aisle in a garden lets you forego the floral setup. A garden wedding means you’re already surrounded by beautiful flowers and other greenery. You won’t need to bring flowers in to put at the end of the pews or surround you and your beloved. Instead, the natural beauty serves as the ambiance for the wedding. The same goes for the reception. If you have an outdoor reception amidst the garden’s flowers, centerpieces can be understated because the venue has done the decorating work for you. 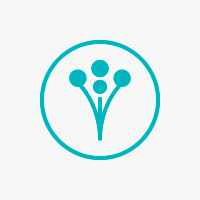 It lets you show off your love of nature. If you’re getting married in a garden, chances are you love the outdoors. 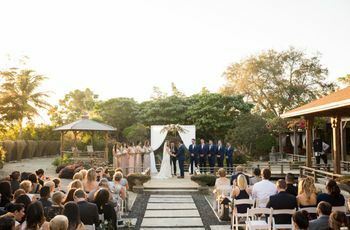 A garden setting allows for a more natural aesthetic (think overflowing flower beds and butterflies flitting around your I Do’s) for your ceremony and reception, and gives your wedding a much more relaxed feel than a traditional ballroom. The couple can be a little more low-key, too. 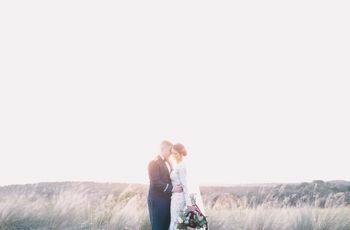 Flowy hair, an unfussy wedding dress, natural makeup and no ties or tuxedos would all look at home at a garden wedding ceremony. Your photos will be filled with color. You may be in all white, but your photos will feature the bright pinks, oranges and purples found in the flowers of a garden. You can’t get much prettier than a couple kissing for the camera surrounded by the bountiful blossoms and lush greenery of a garden. It offers an intimate space for a wedding. Most garden venues are on the smaller side (There’s not a lot of room for chairs on either side of a temporary aisle) so a wedding among the flowers will be a small one. 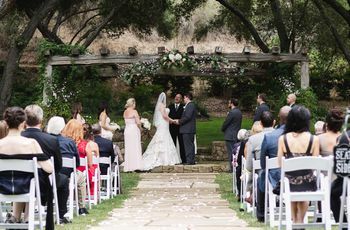 If you and your betrothed want a small wedding that also offers all the benefits of a beautiful outdoor space, a garden wedding could be the way to go. It’s (usually) a child-friendly venue. If you’re welcoming nieces, nephews and other kids to your wedding, a garden is certainly a fun place for them to frolic. Guests won’t need to worry about sticky fingers in a fancy ballroom or loud crying in a church. At a garden wedding, kids will have room to spread out. And what could be cuter than a flower girl surrounded by the beautiful blooms of an actual garden?